Updating a series of new items at the shop feels little bit like a marathon. Seriously... I am always surprised by how many small tasks I need to diligently tackle... with every single update! I am planning to take a little break from it over the weekend. My eyes are burning from all the starring I am doing with my laptop... but I thought I would share a few snapshots of a new office furniture. 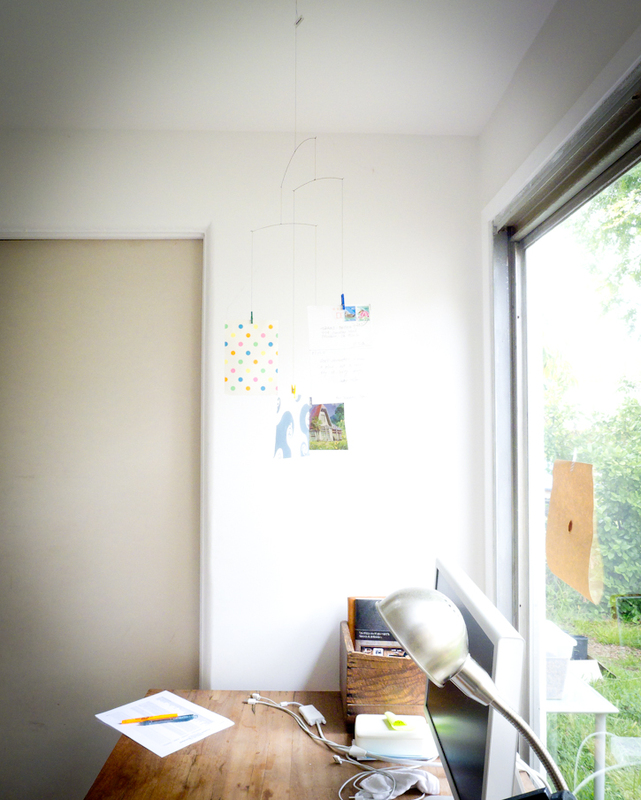 FB got this beautifully simple mobile from a store in Barcelona last year. 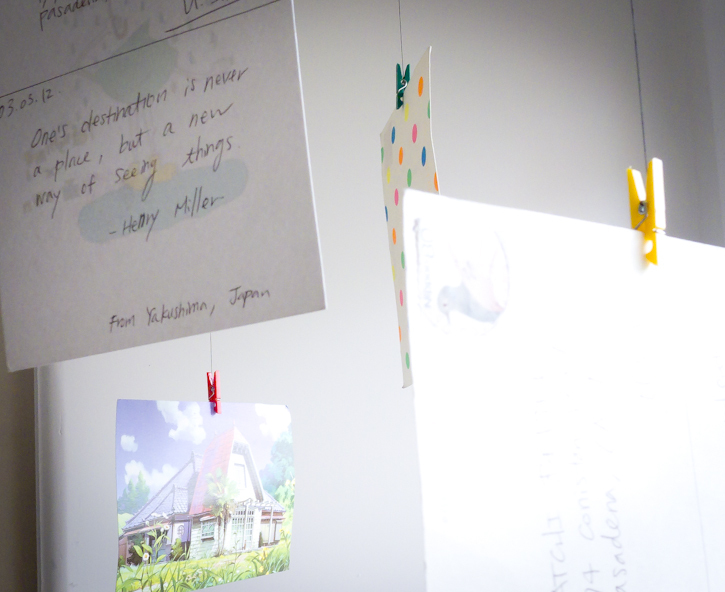 They are meant for postcards, photographs or anything in the scale and media. I remember someone telling me that mobile has a special power to create an aura that protects a good spirit. 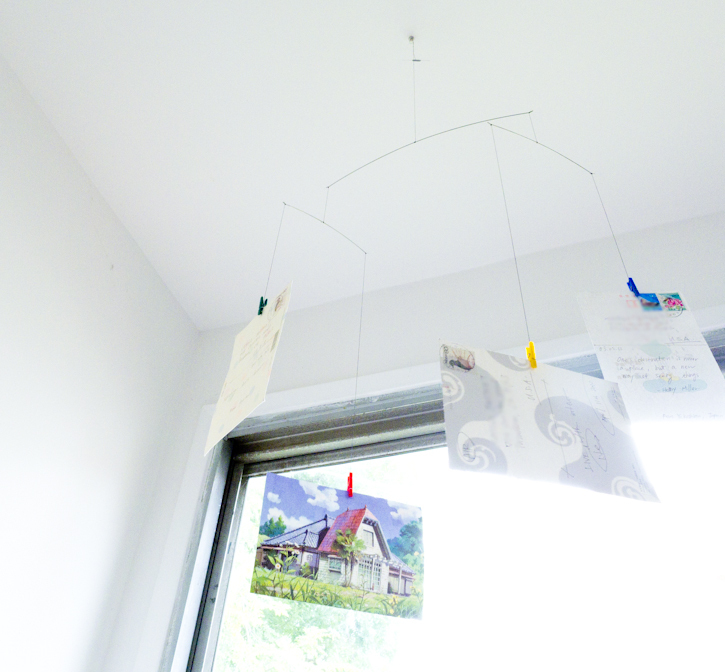 Roo has one with pretty birdies above her crib (here are photos from 1.5 year ago!) courtesy of her auntie Sue Sue. 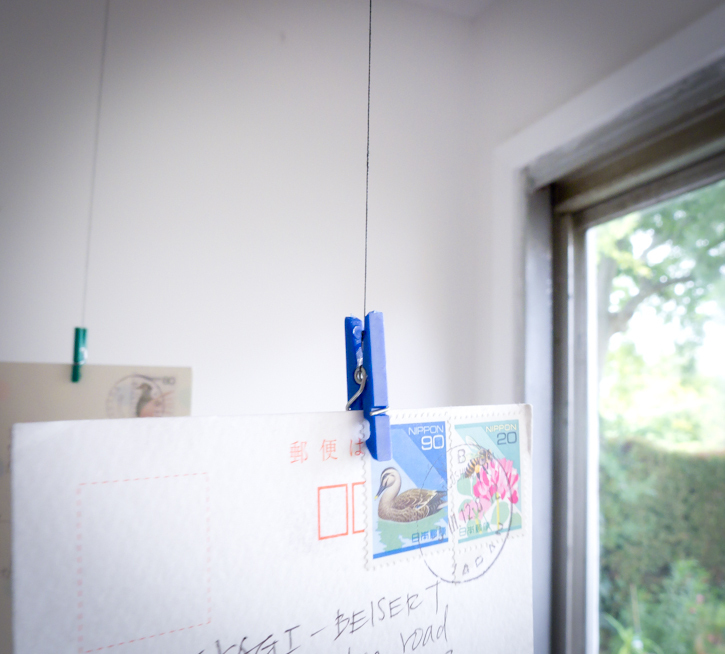 We didn't hang this postcard mobile for a long time because we just weren't sure where it was meant to go... Few days ago, I made an announcement that this mobile was meant to go above my desk with postcards we mailed from Japan. So here they are... spinning slowly keeping a great spirit around my desk.